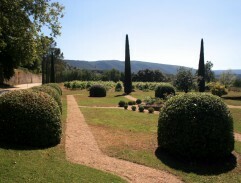 Park is accessible from the main road, that leads into the viticulture Chateau la Canorgue of Mr. J.P. Margan. Max is searching for the La Siroque by the navigation that speaks french: "Attention. Vous avez passé votre destination." Its not surprise that Max missed this place, to see the castle from the corner is almost impossible. 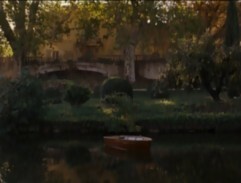 Especially, it is still far more overgrown than in the film. 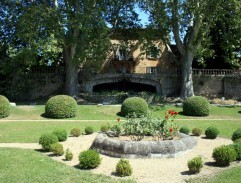 Max Skinner looks around the castle and grounds of the Chateau La Siroque. 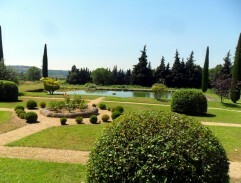 As is apparent at first sight, fountain doesn't decorate a garden. But there certainly was. Little pond with Water Lily is there. Duflot heard about the Max's arrival. 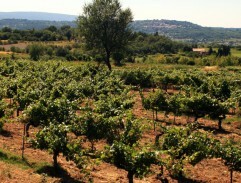 Max meets with Francis Duflot, who for years took care of the vineyard and then also winemaker Henry Skinner. 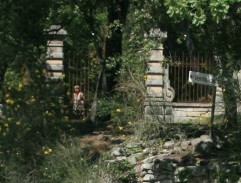 You can see the New church of Bonnieux in the background. Max Skinner rushes into town for a meeting with the notary. 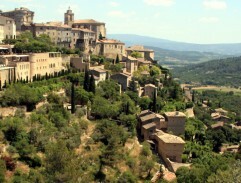 The town of Gordes is an icon of Provence. 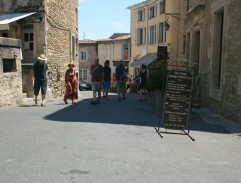 It's stony buildings with terracotta roofs and narrow streets flanked the hilly terrain has a typical Provencal character. The dominant is Romanesque church of St. Firmin castle, founded in the 11th century. Max found a bike in the garage after his uncle. 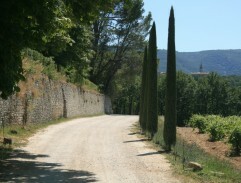 Russell Crowe rides a motorcycle on a dirt road leading to the chateau winery building. Max departs from the notary who advised him to be very polite to the newly discovered Henry's daughter from California. The street is only for pedestrian use.